Preschoolers enjoy making handcrafted Father's Day gifts. 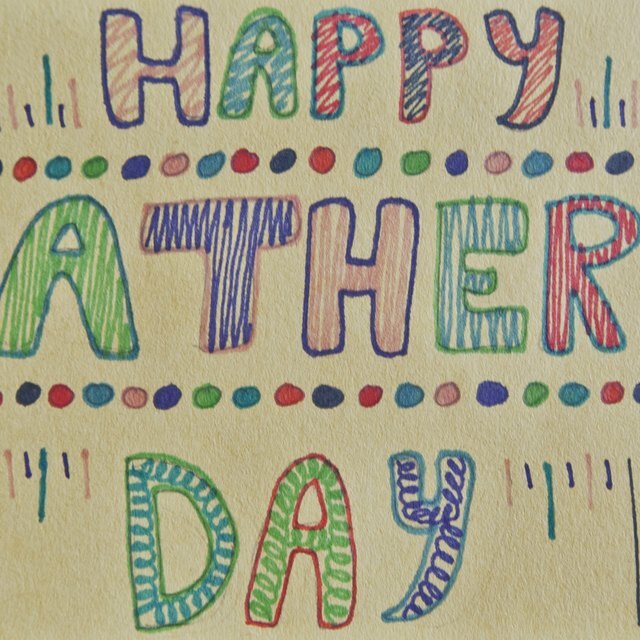 Father's Day can be a touching day for dads and kids alike, but be cognizant of any students that may not have a father figure in the home. 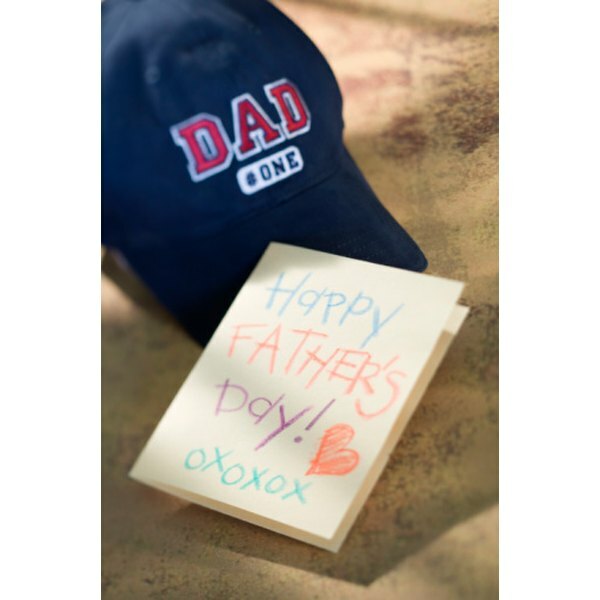 If you're not clear about each child's home life, send a note home a few weeks before Father's Day to ask families what male family members are a part of the child's life. Children can then make crafts for their stepfathers, uncles or grandfathers. Show children examples of family coats of arms. Explain that each family name has its own design with different symbols. Ask each child to design her own coat of arms for her father. Give each child an outline of a shield shape. Help children write their father's last name across the center of the shield. Direct them to fill in the rest of the shield with symbols and pictures that represent their families. For instance, if the family loves sports, children might draw bats and balls. Handprints give fathers a permanent reminder of how small their children once were. Give each child a lump of clay. Help each child roll out his clay to be about 1/2-inch thick. Press one of the child's hand into the clay, then pull out his hand. If the child can write his own name, help him etch it into the clay using a toothpick. If he can't yet write, write his name yourself. When the clay dries, let children paint their plaques. Trace the word “DAD” on thick colored paper. Overlap the letters slightly. Use block letters. Help each child cut out the word without cutting the overlapped areas. Cut out the middle of the "D"s and the "A." Trim three photos of each child so they’ll fit inside each letter opening. Glue the photos to the back of the openings. To make the frame stand up, bend open two paper clips. Tape the smaller side of the clips to the back of the frame. Any father can get use out of a bookmark, and they’re easy for children to make. Trace long rectangles onto thick paper or thin cardboard. Help each child cut out one. Distribute crayons, ribbon, construction paper and glue. Children can wrap the bookmark with ribbons and glue the ends in place, or they can cut out shapes from construction paper to glue to the paper. Let them write their names and the year on the back of the bookmarks. Cut out a small photo of each child and glue it to the front of his bookmark.